We want to share our experiences with you over the next few months. 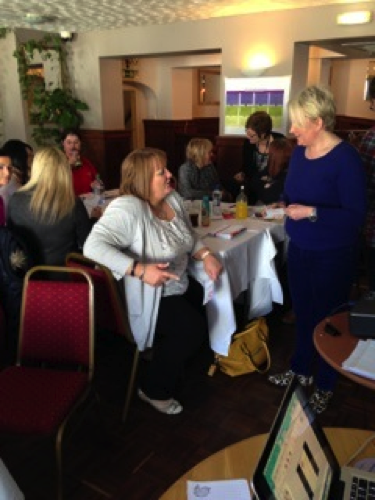 We are working with representatives from Dumfries and Galloway Commissioning Unit as well as support home care provider organisations in Dumfries and Galloway to explore how we can develop, implement and deliver a truly personalised service to people using home care services. The work that we are doing together aims to support team leaders to develop and implement new skills to truly embed person-centred practices into the customer journey. The programme is being led and co-ordinated by a leadership team who co-developed the design of the project with us. We met in early March 2015 to create a one-page strategy. For an example of a one-page strategy that we previously produced with Dimensions, see here. At that meeting, the team clearly identified what success looks like for customers, colleagues and the organization. This helped to identify which person-centred practices will help to achieve this, and to put a system in place that will help to track how well we are doing. A simple system of writing the quality measures on a whiteboard so that they serve as yardstick, and as a place to start the next meeting from, was put into action. There are also plans to begin working on a communication strategy at the next meeting. We began introducing some of the key person-centred practices, as identified on the one-page strategy, which we believe will help everyone to deliver success. Feedback from participants was that they felt supported and empowered that the leadership team would be updated on progress as we go along, as leadership team meetings were set to happen at regular intervals between training for the team leaders. Problem-solving issues that are stopping team leaders from being successful, for example anything is policies or procedures that are getting in the way. Celebrating success and communicating this internally and externally. Measuring progress (We will feed into the leadership team how many one-page profiles that meet quality standards are in place so as have clarity in terms of how we are delivering and measuring in line with the one-page strategy). 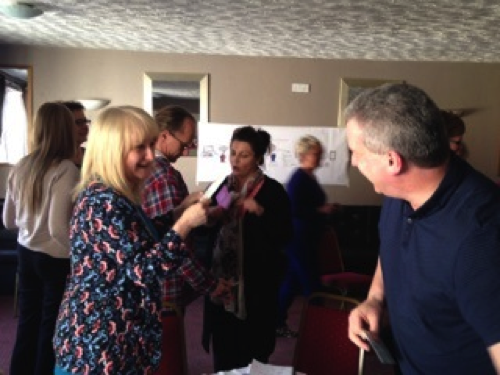 So what were the person-centred practices that were identified as being key to success? Firstly, we looked at one-page profiles and explored how they are developed through good conversation with all those working in the organisation, and also people using the services and their allies. We also looked at how we use one-page profiles to enhance the choice and control people who use services have around deciding who will provide their support. Given the single most powerful thing we can do if we are to improve a persons quality of life is to ensure they are supported by a person they connect with and who connects with them, the team leaders embraced this idea and acknowledged we have to better pay attention to this even though we may not be able to do it to perfection. The second day of training was spent focusing on supporting managers to build their capacity, competence and confidence using five different approaches to developing one-page profiles with staff (see Helens blog for more info on the 5 ways). We then explored together how this would support making this happen at scale in their organisations and simply become typical practice. All of the team leaders threw themselves into this and discussed how this idea of good conversation can be a real help in terms of shifting cultures. We will let you know how the team leaders get on between now and our next day together on the 14th April. Each team leader now has their own one-page profile which meets quality standards and they are each going to support two of their colleagues to develop their one-page profile and come back to let us know how they went on with that. We look forward to sharing the learning!